All American Overhead Door, Inc. Here at All American Overhead Door, Inc., we believe in giving our customers the best there is to offer in garage doors, electric operators and repair work. We offer CHI Overhead Doors, a leading manufacturer of fine garage doors. They have a wide selection of choices, from the economical non–insulated steel garage door, to the premium fully–insulated steel garage door, to the innovative steel–stamped and wood carriage house garage door. Whatever your garage door needs are, the staff at All American Overhead Door, Inc. will do whatever is necessary to meet those needs. Tired of having to manually open your garage door? Well, we have the solution to that problem; have us install a new garage door operator from Liftmaster. All American Overhead Door, Inc. offers a wide selection of Liftmaster chain and belt driven operators. We would like to introduce you to the innovative 1/2 horsepower belt drive with the EverCharge battery backup system. When the power goes out, you can still get in! Please see our Suppliers page to visit CHI and Liftmaster to get a more in–depth look at our product line. Our pride and our quality go hand in hand. 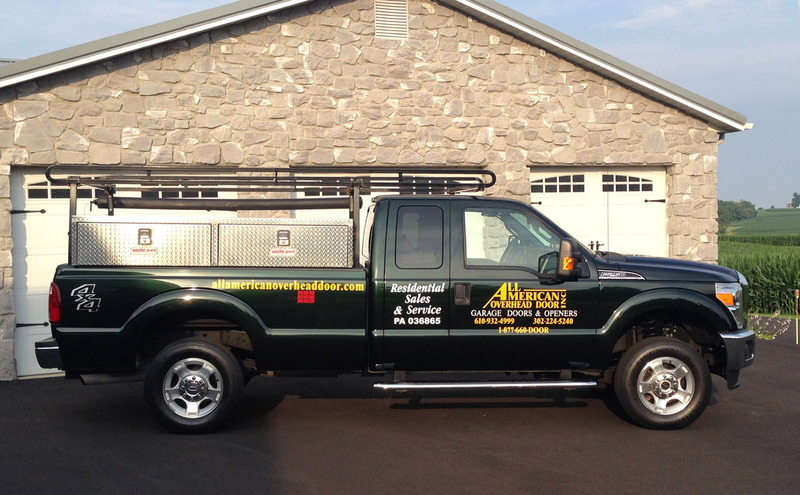 Centrally located to service the areas of Delaware, Maryland and Pennsylvania, we have a fully stocked warehouse, and our vehicles are also ‘mobile warehouses’, fully equipped to solve any garage door problem. Ask us about our customer testimonials! We pride ourselves on fixing your door right the first time, and do not use any ‘quick fix’; methods! We stand behind our work — Our mission here at All American Overhead Door, is to perform each job with quality, honesty, and service unrivaled by any other. Copyright ©2005-2019, All American Overhead Door, Inc.